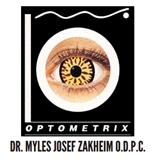 Optometrix / Zak. (Beverly Hills) - Book Appointment Online! Wonderful office! Everyone is extremely friendly especially Dr. Zakheim. I actually look forward to getting my annual eye exam! I've been to a number of eye doctors and go annually. Dr K did way more tests than any other doctor I've been to. It's obvious that her methods are very current. Timely and knowledgeable. Also nice to find a doctor open Saturday.